Caregivers are challenged with a flood of emotions on a daily basis. I remember the moments of joy, laughter and gratitude with mom, but the emotions I most struggled with were anger, resentment and guilt. Those negative emotions that make your stomach churn with anxiety. What could I do with all of these emotions? And, what about the disease of Alzheimer’s? I’m angry about that, too. But, who should I direct my anger at -- God, Higher Power, the Universe. Where do these emotions take us? Hopefully, to Forgiveness—the gift we give ourselves. It is a release from the burden of our guilt, anger or resentment. When we choose to forgive, we are giving up the past so that we can live in the present moment. As caregivers, we must release this negative energy and replace it with positive energy so that we have fresh energy to go on with our loved ones. Forgiveness doesn’t happen on its own. We choose to forgive. Self-forgiveness is a good place to start. Forgive yourself for judging yourself so harshly. Allow yourself to be vulnerable. When mom was ugly to me I wanted to wallow in self-pity, but the only payoff was to hurt myself. Let go. Choose to forgive. Release yourself from the past. Bitterness and stubbornness are signs that call for forgiveness, especially if your attitude is associated with the need to be right. We find that to practice love and forgiveness, we must keep things in perspective. Practice patience so that we can handle those challenging moments. We can’t afford to play victim because we are caregiver heroes. Forgiveness is FREEING. It brings Peace of Mind. 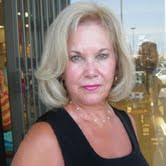 Barbara Pursley was born in Galveston, Texas and is the author of EMBRACING THE MOMENT. Barabara attended Santa Monica College, studied photography, and worked as a commercial photographer before returning to Texas to care for her mother. Barbara also taught journal writing to women in Texas rehabilitation facilities. She put her God inspired journal entries and photographs into book form in 2009. What is Alzheimer's? What are the Eight Types of Dementia? Is it Really Alzheimer's Disease or Something Else?